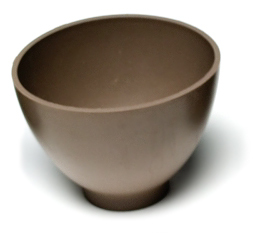 These professional mixing bowls are ideal for modeling masks, mud masks, or any kind of mask or bodywork treatment. They are made of flexible, non-stick medical grade rubber. Their clay/brown color is non-staining.